Where you’re going, you won’t need roads… buy you’ll need a few Regalia upgrades first. With 30 years of games under its belt, Final Fantasy is all about tradition – be it following or disrupting it. 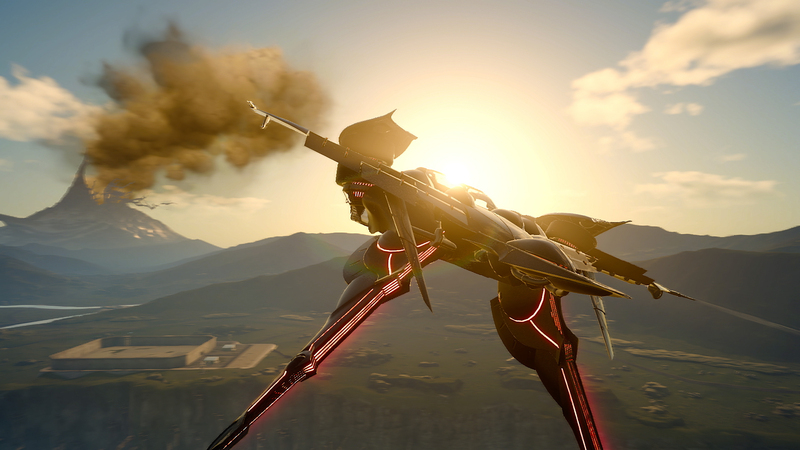 Final Fantasy 15 follows it in one sense, in that the game does ultimately have an airship – you just have to reach it in a bit of a round-about way. It also breaks tradition in an exciting way thanks to its new open-ended, open world design. 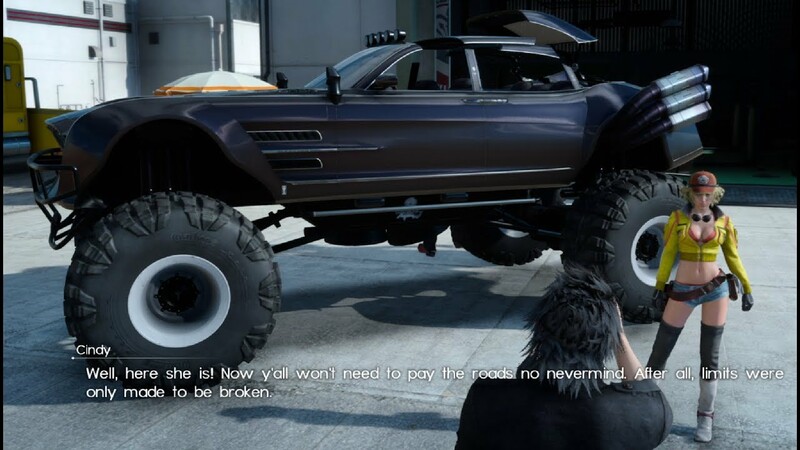 That has pros and cons alike, but here’s the good news: thanks to patches and in the new FF15 Royal Edition and the PC-based Windows Edition, you can break out of one of the few restrictions around the open world from the original version of the game, gaining the ability to take your car off-road. Both of these abilities come via the Regalia, FF15’s gorgeous luxury car. The Regalia is with you all game and is accessible right from a certain point in the first chapter, but you’re able to upgrade and customize it, from basic cosmetic upgrades such as paint jobs through full-on overhauls the Regalia Type F and Regalia Type D – Type-F allowing it to fly and Type-D allowing it to break out of the invisible barriers and get off-road. The instructions of how to unlock each are a little spoilerish, obviously, but you’ve been warned. After the jump: we explain how to get it done, allowing you to get off road either on the ground or in the skies. For more FF15 assistance, hit up our full Final Fantasy 15 Guide. First, you’ll need the game to be version 1.12 or higher. This won’t apply to people with Royal Edition or the PC version, as this update dates back to June 2017, but if you had the original version of the game and haven’t played it in a while, update. Second, you’ll need to be in Chapter 3 or later. Chapter 3 is when the world of FF15 really opens up, after you’ve had major plot revelations and your major mission becomes clear. Play through to Chapter 3 before trying these steps. Once you’re at that point, head back to Hammerhead, the first garage and rest stop you encountered all the way back in chapter 1 and have seen again multiple times since. It’s the place with Cindy and Cid, and it’s the former you’ll want to speak to. Chat to Cindy and she’ll tell you all about a hot new off-road upgrade she has in store for you – the Regalia Type-D. Here is is! All you have to do to actually get the Regalia Type-D is simply talk to Cindy now and use the customization menu to select it. Cindy will take your car into the shop, and when it comes out it’ll have absolutely enormous monster truck style wheels. You can drive it right away! To revert back to the previous form, or get the flying version (more on this in a moment) you simply need to ask Cindy again. When driving the Type-D Regalia you’ll be able to jump with Circle/B to get over barriers and other obstacles. It can also hit enemies and kill them, but this won’t reward you any EXP or AP, preventing you from leveling up quickly or getting new ascension skill upgrades as quickly, so be warned. The Regalia has surprising horsepower and can climb steeper cliffs than you think – try it out! If you run out of fuel, you’ll have to pay for the Type-D to be towed – it’s too heavy and big to push. So, the first major point of unlocking the flying car is something big you have to do before you can even think about taking to the skies: Complete the game. Finish off the main story and you’ll be placed back in time and back to the open-world segment of the game once more. If you haven’t already, call Umbra and have him take you back to past Lucis. Now you have your regular Regalia and it’s time to make it fly. In order to do that you need to take down the three optional Nifelheim military bases that are scattered around the map. That’s Fermouth Garrison (in Northen Leide), Aracheole Stronghold (Southeast of Lestallum) and Fort Vaullerey (Southwest of Old Lestallum). You really can’t miss these bases – on the map they’re big slabs of grey visible from the sky because they’re built out of concrete. Each base you clear will unlock a new mysterious part for your car. The game didn’t alert me as to what they were for – consider yourself warned – but once you have all three parts a quest titled ‘Into Unknown Frontiers‘ will trigger. Go speak to Cindy in Hammerhead and she’ll install the parts in the Regalia. That’ll give you the Regalia Type-F. That wasn’t so bad, right? Given that it’s a post-game item, it’s true that the Regalia Type-F has some relatively limited usage. You can only use it in Lucis, for a start, with the other game areas not suited for it. Within Lucis it’s a pretty cool ride, however. There’ll be a new option as you drive on your menu with the Type-F: hit circle to fly. Be aware this won’t be available everywhere, but only on roads where a safe take-off can be initiated. When you come in to land, be careful – if you come in too hot or outright crash, it’s an instant game over. I highly recommend you do what I did at first – just take it to the skies and fly about, taking in the sights. When you’ve done that, you might want to start flying around the far reaches of Lucis… there might well be a hidden dungeon out there for you to find that can’t be reached any other way than by flight. Just saying. So, yes — that’s that. Airships! Flying is cool. I recommend you pop on the in-game radio… you’ll find a classic airship track from FF7’s Highwind or FF9’s Hilda Garde suits cruising in the Regalia Type-F quite well.